Justin Case, a high-priced lawyer and an operative for V.I.L.E. found that ACME is working on a new high-profile deal. Justin Case wants to get the hands on that information to sell it to the competitors. He just contacted another operational from V.I.L.E. Dee Cypher who has insider access to ACME. His mission is to smuggle confidential information bypassing the high end security controls in place like Firewalls and Data Lost Prevention. During a secret venue they shared some information: The ACME is running the latest version of Checkpoint Firewall with rigid rules however it allows ping requests to me made with a maximum ping size protection of 1400 bytes. Also to bypass DLP inspection they agreed that the information should be sent encrypted using symmetric encryption AES 256 bits with a shared secret that they agreed upon. How can Dee Crypt and Justin Case accomplish this mission? Lets describe the commands of Dee Cypher. First, the md5 of SecretPlans.pdf was produced, which can then be used to verify the file integrity. Next, the file SecretPlans.pdf was encrypted using AES-256-CBC algorithm resulting into SecretPlans.enc. Then, SecretPlans.enc was checked and it contains 30800 bytes. Now he wanted to know how many ICMP packets he will need to send the contents of the file using a payload of 1400 bytes. To do this he used the precision calculator bc in quiet mode. Divided the total amount of the file size by the size of the payload. The result was formatted to show two digits after the decimal point, it’s 22. It means, he will need to send 22 packets to send the whole contents of the file. To forge the ICMP packets hping3 was used. It’s specified the filename that will fill packet data, the traffic type using icmp mode with a data size of 1400 and a total of 22 packets. On the other end, JustinCase executed tcpdump to capture ICMP traffic with no limit on the captured packet size. He extracted the traffic, using tshark, that matched wireshark filter ICMP Echo Request (type 8) and wrote it into data.pcap. Then, extracted the data portion of the ICMP payload. The output of this command was piped into xxd to convert the data into binary using plain hexdump style. The file was decrypted using the same algorithm and finally integrity was checked and the file was opened with acrobat reader. Note: On this example a Checkpoint R75 with IPS and DLP blade enable was used. The IPS had configured a Max Ping Size of 1400 bytes. By default the IPS does not have the Max Ping Size protection enable and the default value is 2500 bytes. 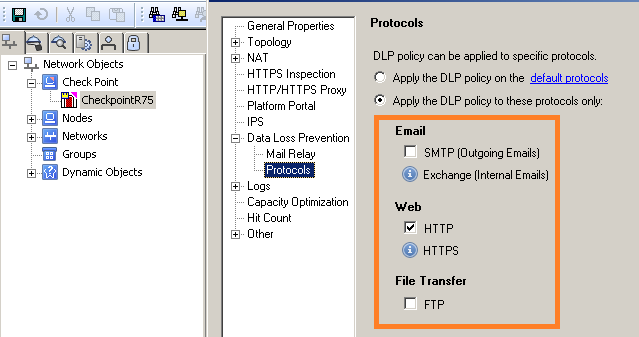 Further, the ICMP traffic is not covered by DLP inspection which means the data could be sent in clear text instead of encrypted. After having fun and eventually engage people to challenge this with other possibilities and tools let’s think about it. This example demonstrates that insider threat should be a serious concern by today organizations. In this case Intellectual property or confidential information could be stolen. Understanding how susceptible you are to insider threat is a valuable step in order to develop controls to detect, remediate and mitigate. Access to information outside of need to know, unauthorized encryption of information, unauthorized information transfer are examples of technical actions and indicators that could be used in this case as observables for a possible detection. In 2006, the CERT coordination center which is located at Carnegie Mellon University released a technical report “Comparing Insider IT Sabotage and Espionage: A model-based analysis‘. This study considered not only the technical factors that contribute to Espionage and Sabotage cases but also the psychological, organizational and contextual factors. It’s definitely a good read for security professionals and leaders with responsibility on the organization security posture. Other than that the CERT Insider Threat Centers provides comprehensive and detailed information about this topic. Again great article ! Good job !